Catuaba is kind of low shrubby tree that grows in the forests of northern Brazil. The remarkable energy and aphrodisiac properties of this plant were first discovered by the Indians, who chew catuaba bark to have more energy during their hunt through the Amazon forest. The tree itself produces yellow flowers and an inedible fruit but it is the bark which is harvested for its medicinal properties and made into supplements. Catuaba has the scientific name of Erythoxylum catuaba and belongs to a larger family of trees. There is quite a bit of confusion regarding the actual tree species harvested for use and products from both the small catuaba and big catuaba trees are used for the same purpose and marketed interchangeably. The bark from the tree is sometimes referred to as trichilia catuaga. The chemical structure of catuaba includes alkaloids, tannins, aromatic oils, resins, phytosterols, sesquiterpenes and flavonoids. Catuaba is most famous aphrodisiac plant in Brazil with a long history of use to improve erection and to improve the function of the prostate. It possesses antibacterial and antiviral characteristics, especially for infections with E.coli and S. aureus. It has dopamine – mediated anti-depressive effect which has potential in the treatment of depressive disorders. Catuaba is considered as a stimulant of the central nervous system with aphrodisiac characteristics and is commonly used for sexual impotency, agitation, nervousness, neuralgia, poor memory, forgetfulness, insomnia, hypochondria, general exhaustion and fatigue. Interestingly is that catuaba shows anti-HIV activity by inhibiting the absorption of HIV in cells, which have potential in the treatment of HIV positive patients. Catuaba’s widely known health benefit is it effect to the male reproductive organ. Catuaba tea has long been used in traditional Brazilian medicine as aphrodisiac and as tonic to stimulate the central nervous system. 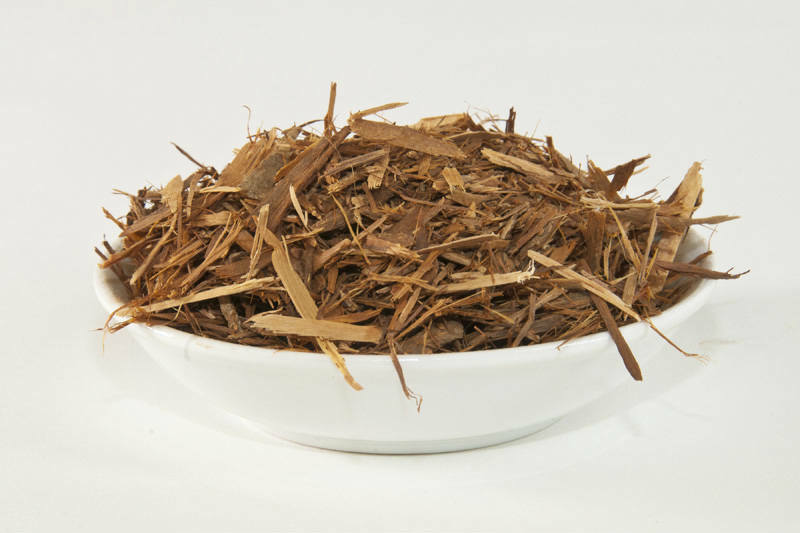 It was widely believed that an infusion of the bark contains yohimbine, which seems to be the active compound that provides a stimulatory effect to the libido. Recently it has started to appear as an ingredient in aphrodisiac supplements in the United States. Unfortunately, studies have suggested that the quality and content of these supplements varies a great deal so make sure that you purchase it from a reputable supplier. According to research, it contains tannins, alkaloids, fatty resins and aromatic oils. It also possesses certain flavonoids, sesquiterpenes and phytosterols. Research published in 2007 discovered that plant bark contained epicatechins which are powerful antioxidants said to have both antibacterial and anticancer properties. There is a need for finding ways to minimize damage to the brain as a result of exposure to environmental toxins. Scientists have long known that free radicals via toxin exposure can damage brain cells. One research found that antioxidant and anti-inflammatory properties of Catuaba extract protected the brain of participants from oxidative damage, possibly playing a role in protecting against brain-related disorders. Poor memory, Alzheimer’s disease and dementia. Despite its many long years of use and the lack of any reports into adverse effects, care should always be taken before you decide to take any new herbal medications. Because of its effect on the central nervous system, it is possible for people using it to experience headaches and dizziness especially when first taking it. Caution is advised when taking any libido enhancing medications as adverse reactions are always a small possibility. The opposite effect to the one desired can occur and you should stop taking the supplement if you experience a loss of libido. There is no research regarding the use of this herb for children or pregnant women so stay on the safe side and avoid taking it. How to Strengthen Hair with Flax Seed Water? 100% Effective!